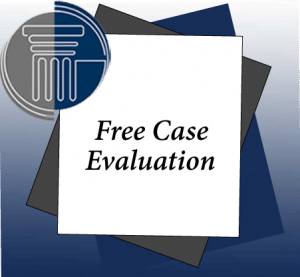 What Are the NY Workers' Compensation Cash Benefits? To determine the amount of the cash payments to you for lost wages, the law starts with a determination of your average weekly wage (AWW) for the 52-week period immediately preceding your injury. If your injury prevents you from working at all, you may then receive up to 2/3rds of your average weekly wage. There is, however, a cap on the amount that you can receive per week—the current cap, established in 2015, is $844.29 per week. It’s important to understand that, if you are out of work because of a work-related injury, you must remain under the care of your doctor to qualify for cash benefits for lost wages. Depending on the severity of your injury, you may be entitled to benefits for up to 10 years, or even for life, if you are permanently and totally disabled. Depending on the type of injury, if there’s a permanent injury, you may be entitled to a cash award or settlement. If there’s any type of permanent injury to an extremity, from arms, hands and fingers to toes, feet, and even eyes and ears, you may have the right to a cash award for that permanent loss. Such payments are typically paid about a year after you file your initial claim. These types of awards are what are typically known as “schedule” awards, as they are based on schedule that pays a certain amount for a certain type of injury. For example, there’s a specific dollar amount that gets paid for the loss of a finger or hand, or for the loss of use of a specific body part. What Are the New York Workers’ Compensation Cash Benefits?